Email is one of the most convenient as well as systematic ways to reach your esteemed customers/clients. There should be a constant communication to ensure customer retention, because a happy customer is the biggest asset for a company. Today, PSD to Email conversion is one of the fastest growing means of impressive communication. They are used by the companies to launch new service or product or simply share the useful information related to facts and news with its audience. So, it is a good idea to present customers or audiences with highly-attractive and never seen before email designs. With the advancements in web services, another advantageous conversion service (PSD to Email Templates) have been introduced to the web world. 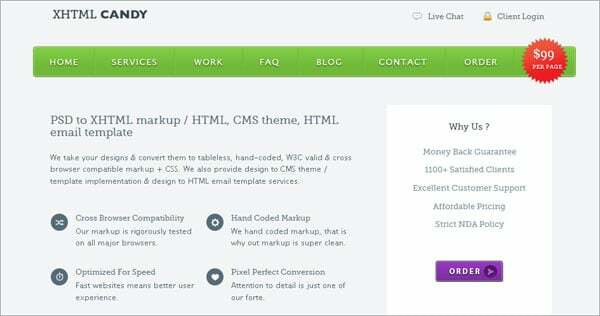 PSD to Email conversion offers to convert PSD to HTML that creates highly-animated and unique emails and newsletters to grab the attention of customers. There are different email tools like Thunderbird, Outlook, etc. and email service providers including Hotmail and Gmail that allow you to read emails. No doubt, HTML email templates are far better than the plain text due to being creative and interactive with the readers. 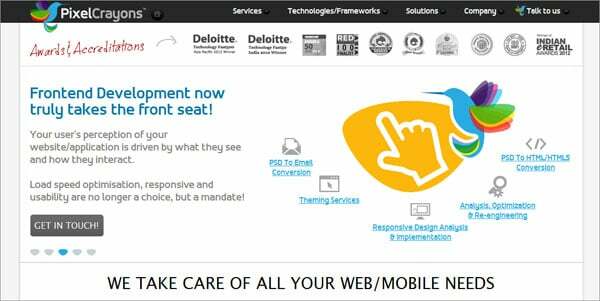 But the problem arises, when there is a need to develop code for converting an email design to an HTML email template. So, it becomes a challenge, which demands special efforts to be made to code the design into HTML template that is fully compatible to distinct desktop email tools and various email marketing platforms. Keep the email simple, by focusing more on message rather than design. It is one of the most important points that should be kept in mind. It is recommended to use accurate code for the location of image and prevent uploading images to password secured server, free hosting server, security server that is slow. Web mail servers like Gmail and Yahoo avoid overriding of codes and have the capability to strip the threat. So, overridden code within DOCTYPE, HEAD and BODY tags get stripped. Using tables for layout is considered the best practice and also, one can introduce some special effects like ‘span’ and ‘divs’. Inline CSS helps you control the fonts and background color. It is advisable to employ individual properties instead of using short hands. Play safe by using more content & less images and also avoid sloppy codes to prevent it from being arrested by the spam filter. The browser server email clients like Gmail and Yahoo do not support CSS that is included in your email. So, CSS does not work in browser servers because it may override the CSS included in rest of the pages. Hence, email clients disable it. For better accessibility and great appearance, test the HTML email and make sure that it is compatible to email tools and other email service providers before sending it to customers. 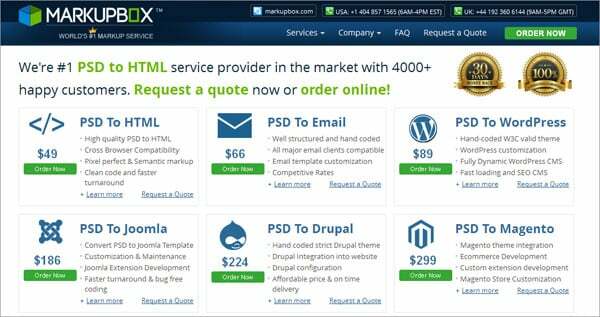 If you are new in PSD to HTML Email conversion technology and are looking for the expert to keep the stability of your email alive. I have mentioned below the most effective PSD to Email conversion service providers, who ensure pixel-perfect designs with cross-browser compatibility, SEO-friendliness and much more. Email chopper is the prominent service provider, well-known to provide extremely innovative Email template solutions and enabling their clients to set up effective campaigns for smarter branding. It is highly-specialized in providing visually appealing Email template design/Newsletter design, email copywriting and many more at affordable rates. Markup Box is the most trusted PSD to Email service provider with proficient team of developers to deliver high-quality conversions. It is an effective email designing service provider, which ensures W3C validation and hand-coded Email templates and Newsletters. Moreover, it delivers fresh themes, template implementation, etc. Pixel Crayons is one of the leading companies and seeks to provide premium quality markup solutions and utmost compatibility with wide range of applications worldwide. Conversion of designs has become easy with PSD Slicing, which has a team of experts that efficiently take care of HTML and CSS coding requirements. I believe this post would be highly-beneficial for you to move ahead with your creative Email template. 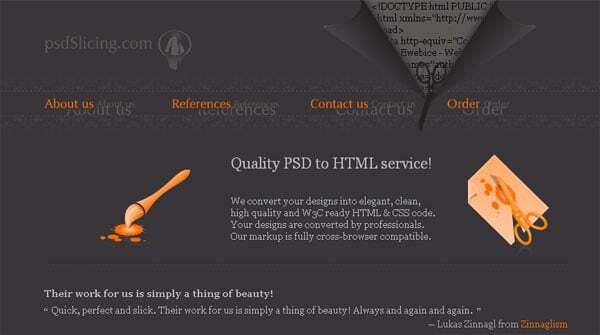 So, reach out to the valued customers and expand your business with PSD to Email conversion services. Daniel Martin is a professional blogger from Email Chopper, providing the .best tutorial for PSD to HTML Email Conversion. He has also shared some innovative ideas & new concepts for Email templates.